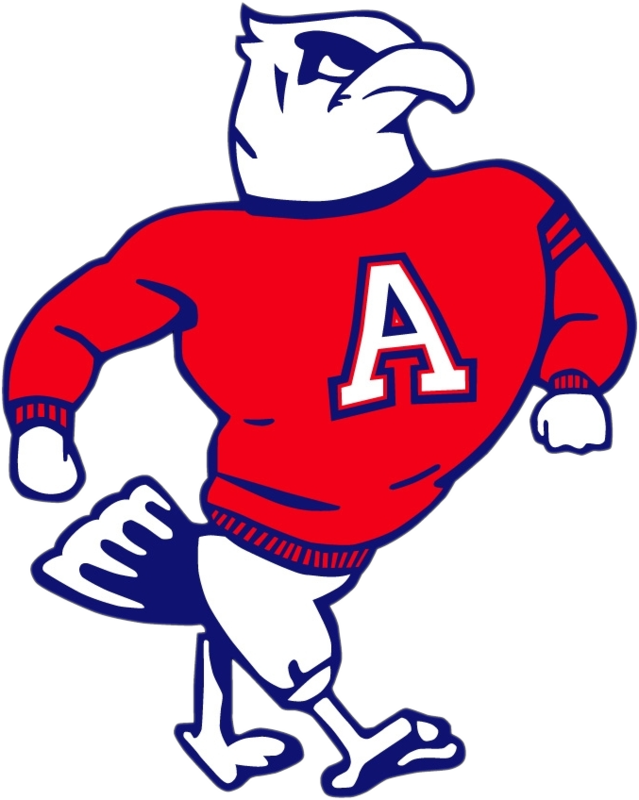 John Adams High School will once again host the Boys Freshman Basketball Northern Indiana Conference Tournament running from February 4 to February 11. Freshman teams from throughout the NIC will have the chance to compete against one another as the season comes to an end. Play will begin on Monday February 4 with four games being played. In the main gym, SB Clay will take on New Prairie at 6:00 PM. At the same time in the auxiliary gym, Penn will take on SB Washington. Beginning at 7:30 PM Mishawaka will take on Elkhart Central in the main gym and John Glenn will take on Jimtown in the auxiliary gym. On Wednesday February 6 at 6:00 in the main gym, SB St Joseph will take on SB Riley. In the auxiliary gym, the winner of game #1 will take on the winner of game #2. At 7:30 PM in the main gym, Mishawaka Marian will take on the winner of game #3. In the auxiliary gym SB Adams will take on the winner of game #4. The semifinals will take place on Thursday February 7. At 6:00 the winner of game #5 take on the winner of game #6. At 7:30 the winner of game #7 takes on the winner of game #8. The championship game will begin at 6:00 PM on Monday February 11 in the main gym. 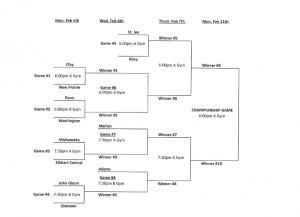 A copy of the bracket is below and information about the tournament is attached as well. The first team listed is the home team and they will wear White, visitor should wear colored jerseys. Tickets can be purchased at the door for $5 per person.